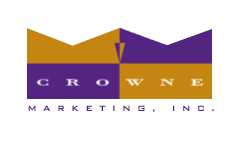 Crowne Marketing was established by Tim Richardson in 1993. Crowne Marketing is committed to excellence in the food service industry. Combining integrity, diligence and management efficiency for our principals. The sales staff at Crowne Marketing knows the food service business in the Nebraska market. We recognize that the “heartbeat” of our business is at the operator level. The reputation Crowne Marketing has built and maintained with our distributors and operators over our 26 years of market experience has enabled us to successfully grow our principal’s businesses.